Currently, we are closed for the season. Check back late spring 2019 or get on our mailing list for details. We are thrilled for this next growing season....let's work together to welcome other species back to the land. Our plants are typically ready mid-summer or early fall because we don't use any artificial heat to grow our plants. 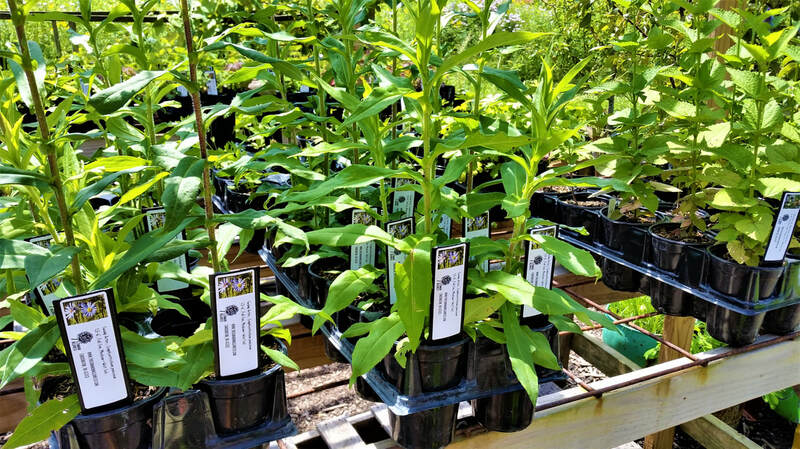 All our plants are grown by us from seed collected on our property or in the Eastern Temperate Forest/Prairie Ecoregion, which means they are native to much of the Eastern United States.